First of all, there are several dishes that use filo, and not everyone makes them the same way. For example, my family loves to put green onions in their spanakopita, but I know people who love the flavor of dill and fresh, chopped onions. Other people never make spanakopita, preferring tiropita instead. 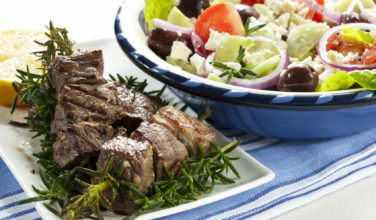 Still, some people prefer to use their imagination rather than stick to a set recipe, and end up making something completely unique but that has typical Greek ingredients. No matter what you decide to cook, however, the tactic for working with the filo will always be the same. 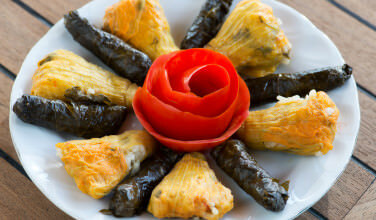 There are different types of filo that you can use, and there is no right or wrong answer. For instance, you can either choose to make it yourself or buy it in the store. Depending on where you live, you may have several versions in the store. Some manufacturers make a much thinner sheet than others. 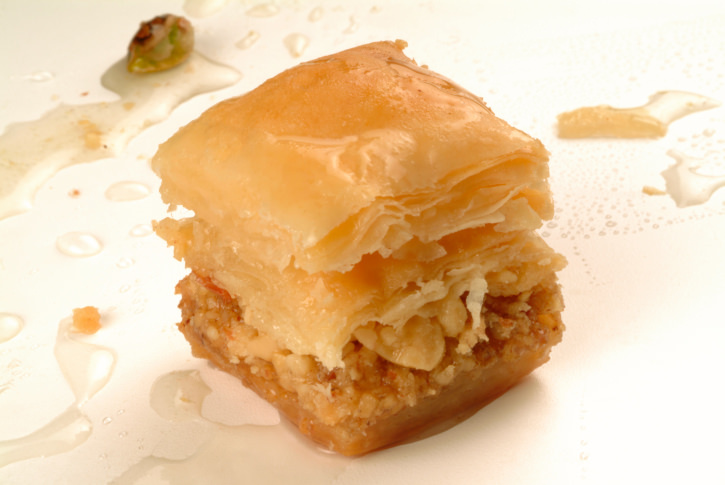 Filo labeled “country style” is much thicker, and it is designed to mimic the homemade version. If you decide to make it at home, you will find that it can take some time to roll it manually, but the effort is worth it if you do it right. If you have a pasta maker, you can roll the dough through that to make sheets that are much thinner. 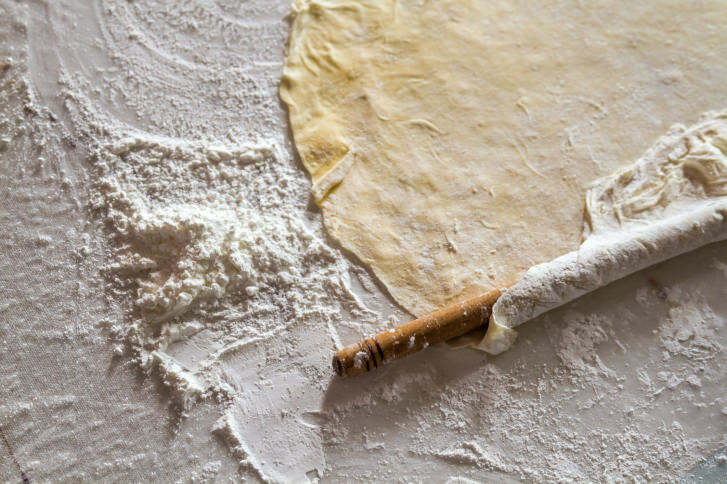 If your dough is extremely thick, you will find that you may not need to make multiple layers once you start cooking. Layered method. This is one of the most common ways to work with filo and is the one that my family tends to use. It’s composed in a similar way as Italian lasagna. 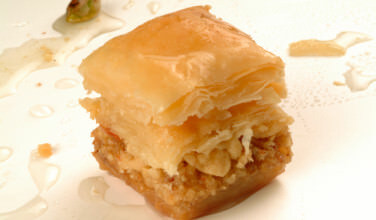 Sheets of filo are alternated, with multiple layers of filo on the bottom and top. Cigar shapes. If you would like to create individual portion sizes, one of the easiest ways to do so is by making a cigar shape. Fold a sheet of filo in half. Brush the top with butter or olive oil. 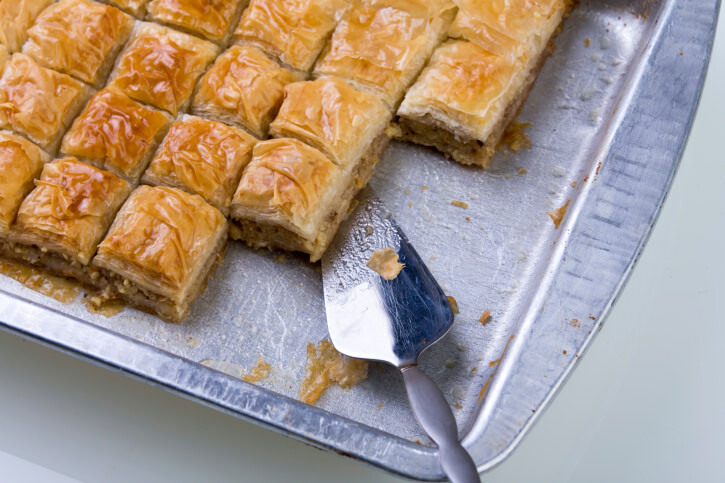 Add the filling to the bottom, and roll, brushing with olive oil or filo as you close the roll. Brush the top with plenty of butter or olive oil to seal it. Triangles. Triangles work on the same principal as cigars, but are a little more difficult to form. 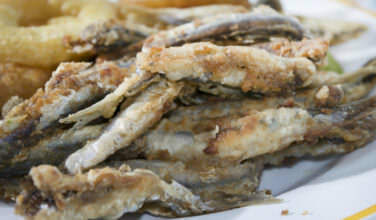 Fold the sheet into thirds and brush with butter or olive oil. Add the filling to the bottom but instead of rolling it, form a triangle shape. As you can see, there is a lot of variation when it comes to working with filo. There’s no right or wrong way. Instead, find the method that you like the best and stick with it!